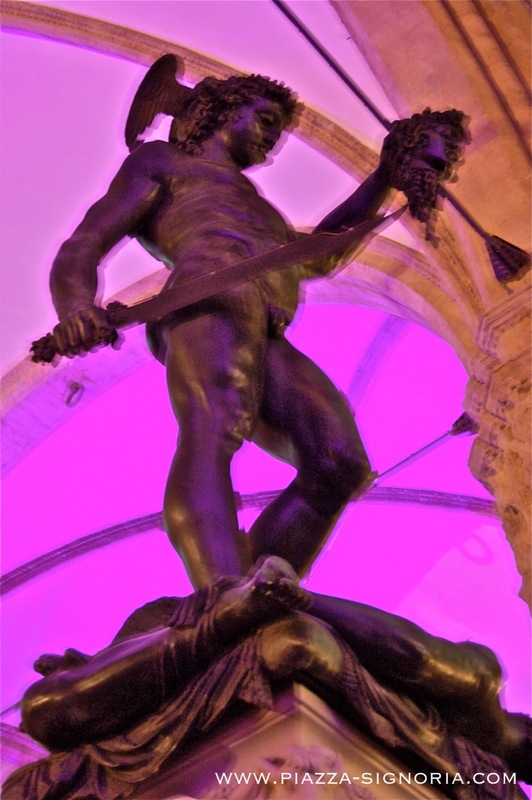 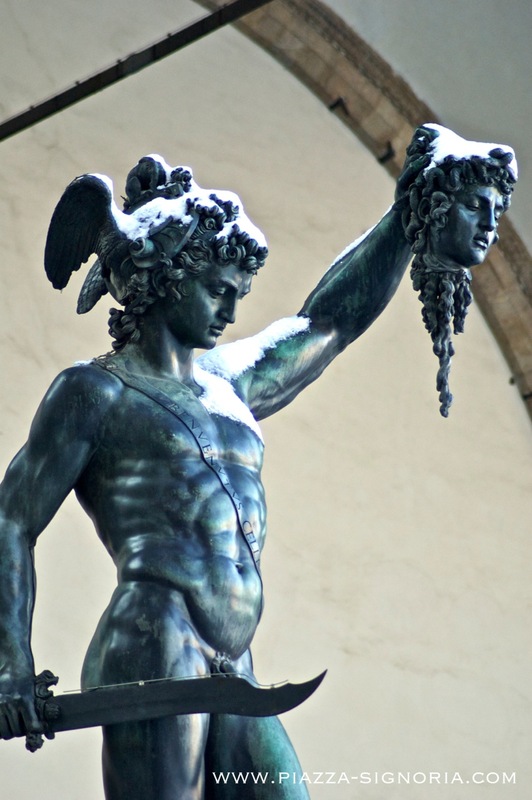 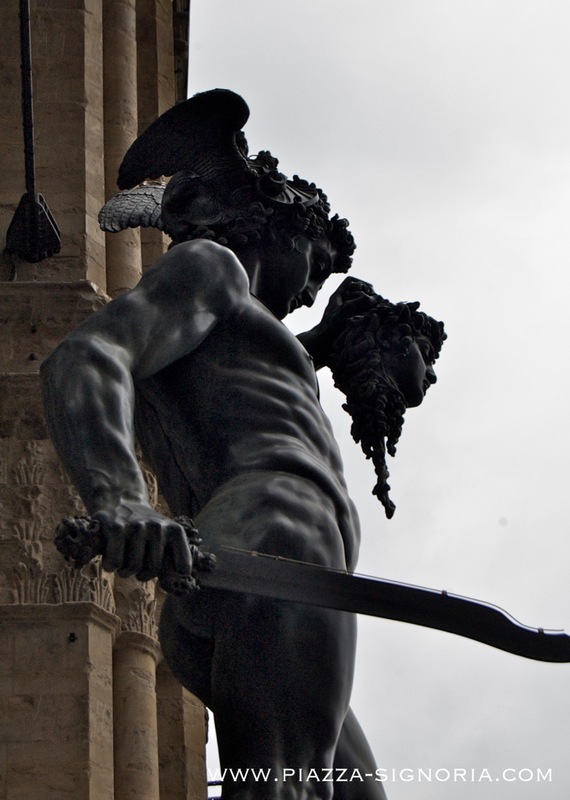 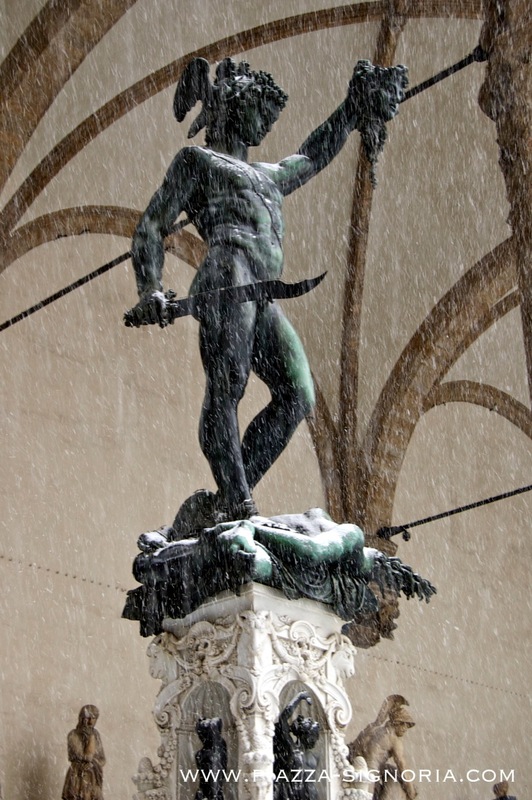 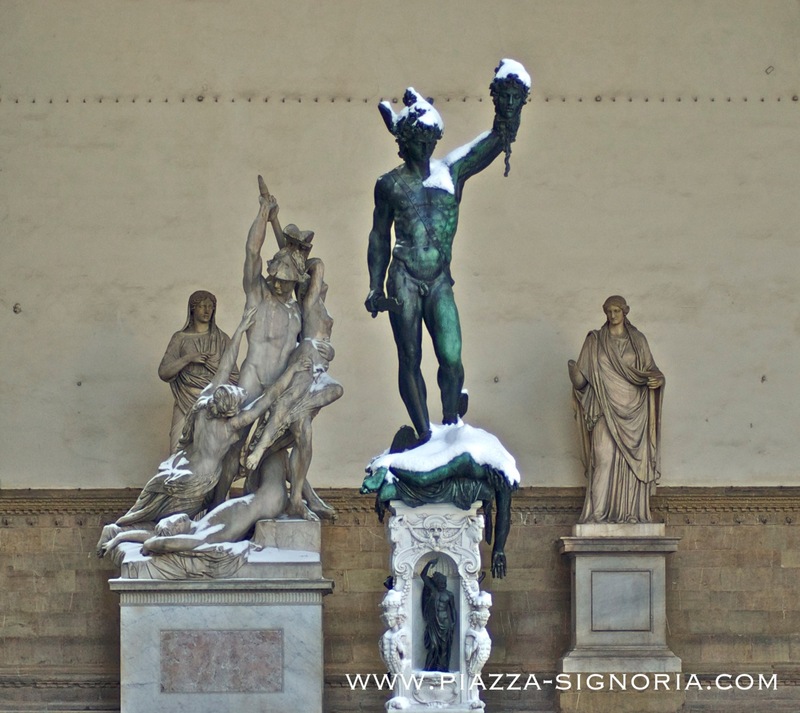 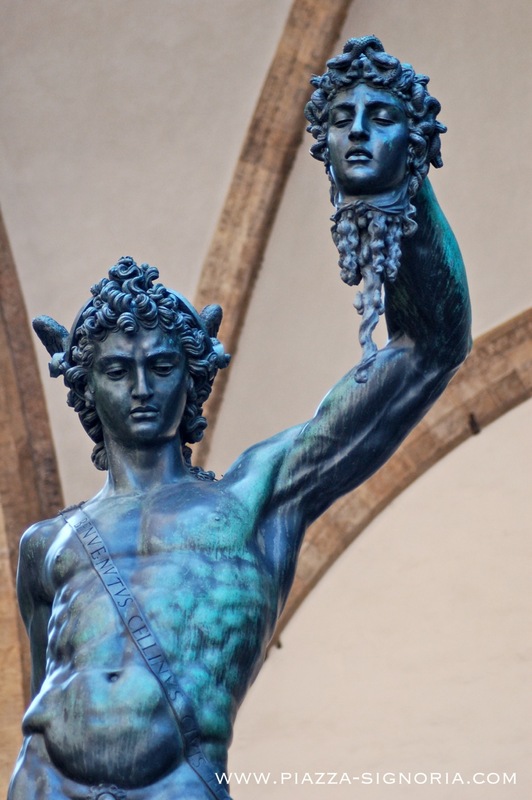 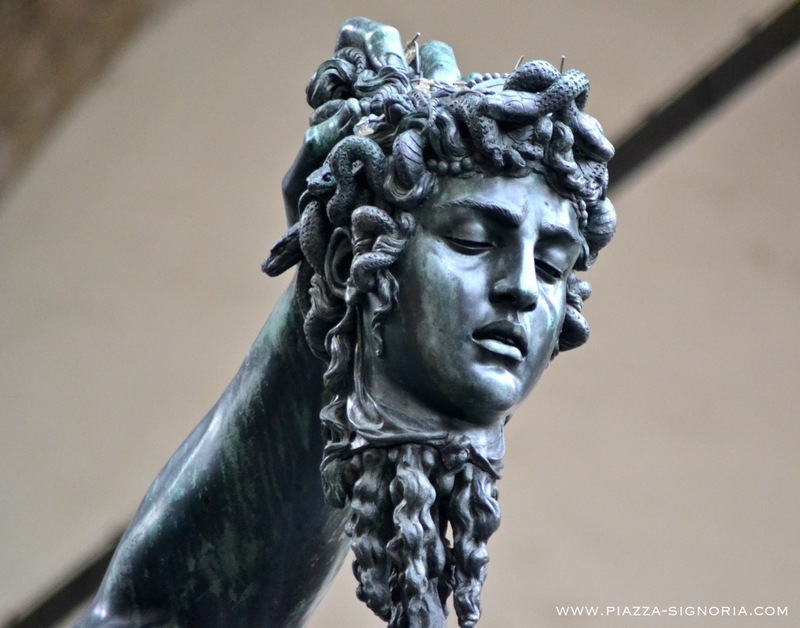 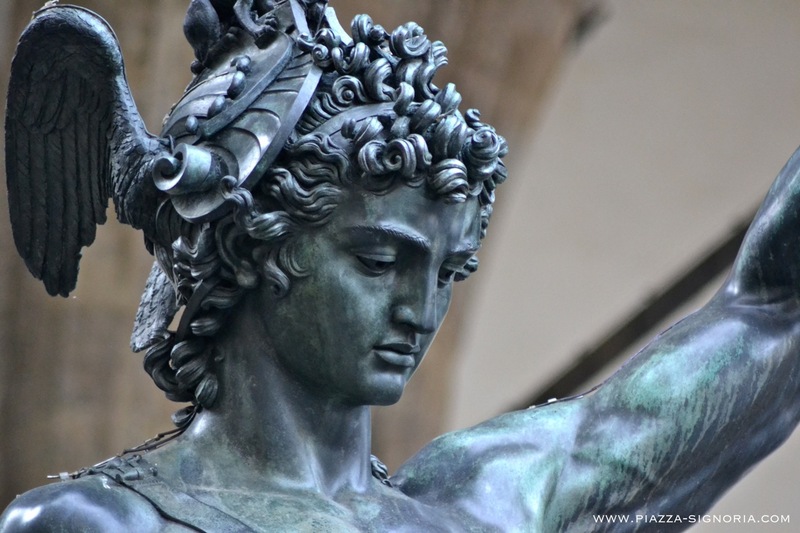 Perseus With The Head of Medusa by Benvenuto Cellini stands in the Loggia dei Lanzi, where it has been nearly continuously since its completion around 1554. 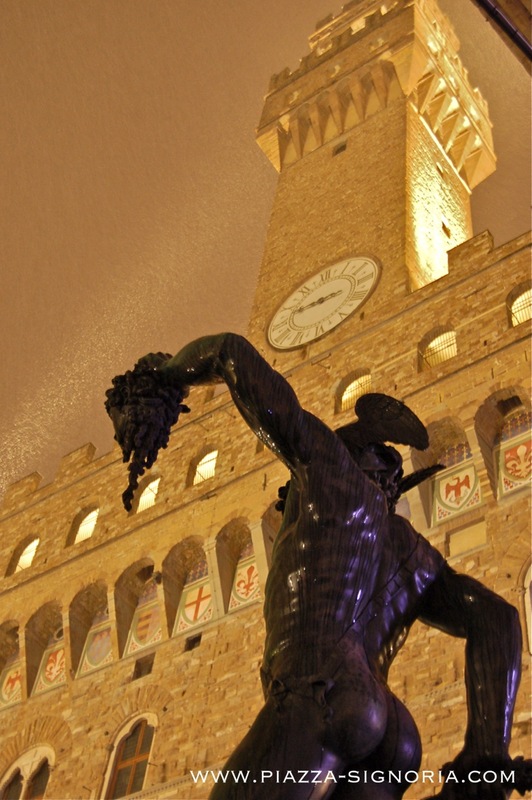 The statue was removed for cleaning and restoration in the late nineties, and perhaps is was moved (or sandbagged) during WW II. 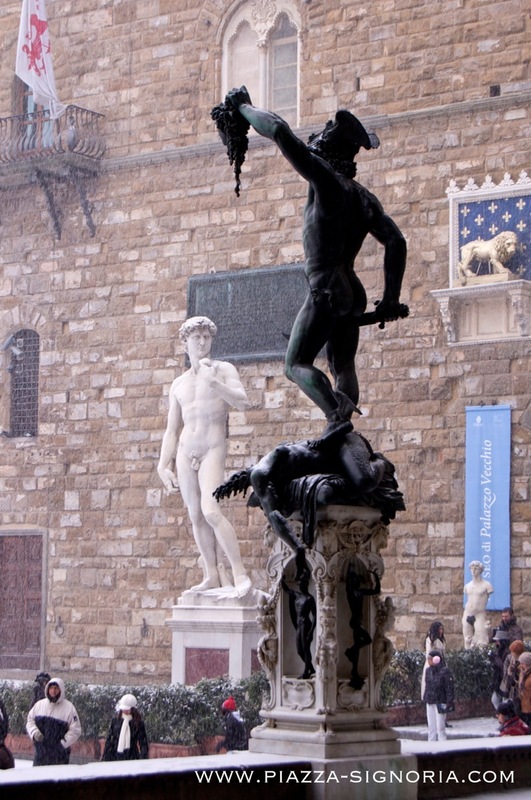 While there is a constant conversation in Florentine and Italian art and preservation circles about eventually moving this sculpture indoors and replacing it with a copy, at this point the original is in place, although the marble base with small bronzes is a replica (the original base is in the Bargello Museum). 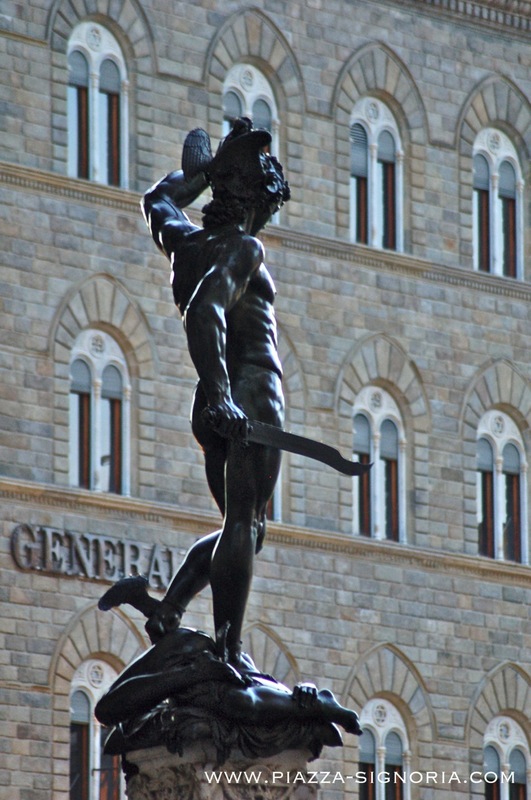 It is a truly remarkable bronze casting and Cellini mentions in his autobiography the troubles he had making it (Cellini was better known as a goldsmith and his bust is displayed on the Ponte Vecchio to celebrate this fact). 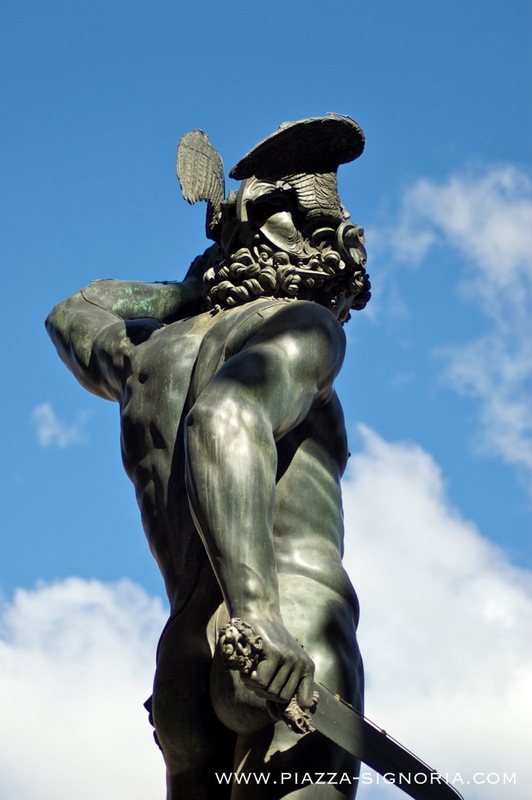 The rear of Perseus' helmet is allegedly a self portrait of the artist - see if you can make it out when you visit Florence.